In today’s NHL News & Notes, Dante Fabbro has signed with the Nashville Predators, Jake Oettinger has signed with the Dallas Stars, Joel Farabee has signed with the Philadelphia Flyers and Chad Krys has signed with the Chicago Blackhawks. Monday was a rough day for Boston University as they lost four high-profile players to the NHL. Still, the news is positive for the four NHL clubs who signed their draft picks to entry-level deals and even better for the players who get a chance to break into the professional environment. The Predators would sign Fabbro, their 17th overall selection from the 2016 NHL Entry Draft, to a three-year entry-level contract Monday after the 20-year-old blueliner scored seven goals and a career-high 33 points in 38 games this season with the Terriers. Fabbro has proven to be one of the best two-way defenders at the collegiate level and will work towards joining an already-stacked Predators’ blueline over the next few seasons. 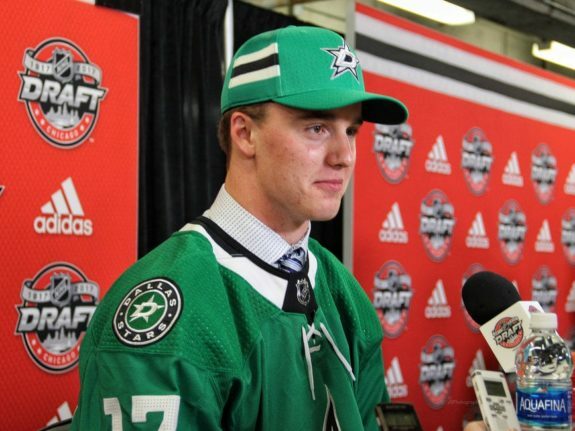 The Terriers would also lose their goaltender as Oettinger would sign his entry-level deal in Dallas. The Stars took the 20-year-old netminder with the 26th selection in the 2017 NHL Entry Draft and he’s excelled at the collegiate level across his three seasons in Boston. The 6-foot-5, 205-pound goalie would record a .926 save percentage and 2.45 goals-against average in his final NCAA season, compiling a 16-16-4 record. His best collegiate season came as a rookie when he’d go 21-11-3 with a 2.11 goals-against average and .927 save percentage, setting career-highs in every statistical category. The Stars still have Ben Bishop under contract through the 2022-23 season and Anton Khudobin locked up until 2020-21. This should give Oettinger a chance to adapt and adjust in the AHL before making the full-time jump to the NHL. He’ll join the Texas Stars on an amateur-tryout agreement for the remainder of the 2018-19 season. 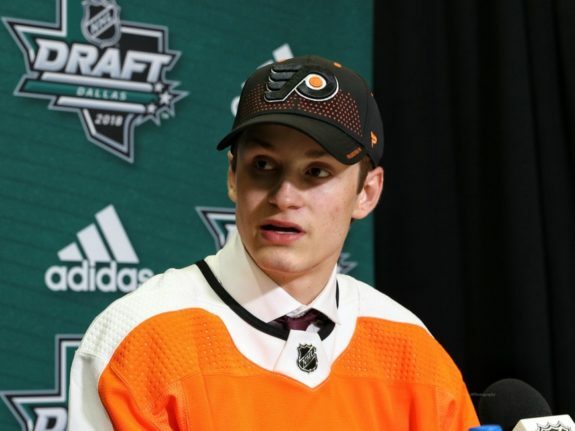 The Flyers would get in on the action Monday as well as they’d sign Farabee, their 2018 first-round selection to an entry-level contract as well. Farabee dominated in his one season with the Terriers as he’d score 17 goals and 36 points in just 37 games. He led the team in goals, assists, points, game-winning goals (five) and tied for the team-lead with five power-play goals and 15 power-play points. He was also named the 2018-19 Hockey East Rookie of the Year. The Blackhawks would sign Krys, their 45th overall selection in 2016, to a three-year entry level contract after the 20-year-old spent three seasons as a member of the Terriers. Krys was as consistent as it gets during his collegiate career and was relied upon as a steady two-way player who could move the puck and be relied upon in all three zones. 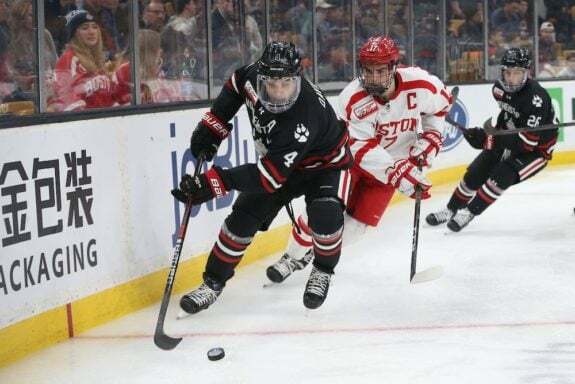 He’d also produce consistent points for the Terriers over his last two seasons with Boston University, scoring seven goals and 27 points in 36 games in 2017-18 followed by eight goals and 20 points in 30 games this past season.